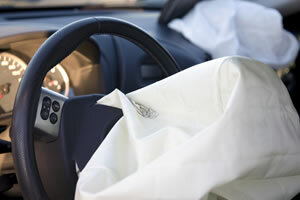 The National Highway Traffic and Safety Administration (NHTSA) has recently announced that some defective Takata airbag are much more dangerous than originally thought. New tests indicate that the chances of a dangerous airbag inflator rupture are as high as 50 percent. The NHTSA is asking the media and the public to spread the word about these airbags so vehicle owners can fix the problem immediately. The defective Takata airbags were used in model-year 2001 to 2003 in certain Honda and Acura vehicles. If you got injured while using one of these vehicles, reach out to our personal injury lawyers in Tulsa for legal help. If you think you have a personal injury case on your hands, contact us today. These airbags rupture at a significantly higher rate than normal when they deploy after a crash. The chance of rupture is even greater for those located in areas of high humidity, such as Texas and Florida. In fact, the most recent rupture event that involved a fatality occurred in Fort Bend County, Texas. The vehicles were already under recall when NHTSA requested additional testing and increased efforts to repair affected vehicles. Honda is required to provide weekly updates on vehicle repair progress. Honda estimates that roughly 70 percent of vehicles affected have been recalled and repaired. However, there are still approximately 313,000 vehicles with this dangerous defect. The airbag recall affects nearly 70 million vehicles, making it one of the largest recalls in U.S. history. Check to see the recall status of your vehicle through SaferCar.gov. Those affected can get their vehicle repaired free at an authorized dealer. Because these airbags are a defective product, you may have a legal claim if you are harmed by the airbags. You can find out more about your legal options if you have been injured by calling the Edwards Law Firm. Our defective product attorneys can help you determine whether you have a valid legal claim. Call today to get a free case assessment.